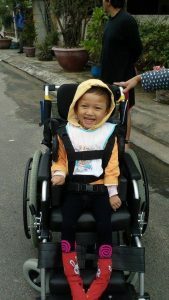 Disability services in Vietnam are extremely limited, leaving most families incapable on of seeking assistance for their child. 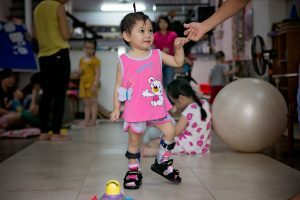 Many obstacles arise on a daily basis when having a child with a disability, which can ultimately lead to family hardships and mental health issues. Once medical, physical therapy or daycare is arranged; a finical burden closes in on the family leading to even greater issues. POD (Program of Development) day program provides physical, social and intellectual development to children between the ages of 1-7. CHIA helps the children who will attend school to maximize their confidence and abilities. Due to the lack of disability support services, CHIA puts a strong emphasis on helping and training parents to provide basic treatment and therapy in their home.